University of Missouri-Kansas City Henry W. Bloch/Missouri Endowed Chair Dr. Jeff Hornsby has been named the UM System Entrepreneurship Educator of the Year for his distinguished activity in developing and nurturing entrepreneurs. Mark McIntosh, University of Missouri System vice president for research and economic development, presented the award April 6. 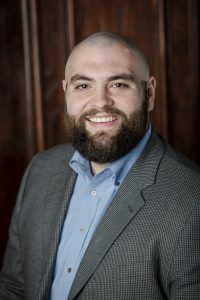 It was the second annual award, and the 2017 award winner also was a member of the UMKC faculty, Rubey M. Hulen Professor of Law Anthony Luppino. Hornsby joined the UMKC Bloch School of Management in 2013 where he also serves as the Director of the Regnier Institute for Entrepreneurship and Innovation and Chair of the Department of Global Entrepreneurship and Innovation. 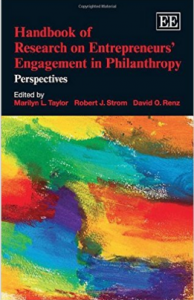 Prior to UMKC, Hornsby spent more than 20 years as an entrepreneurship educator at both Kansas State University and Ball State University. 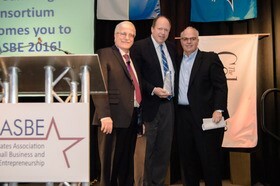 In his five years at UMKC, his many accomplishments include raising more than $1.5 million in grants and other funding, facilitating the mapping and redesign of entrepreneurship curriculum, developing the Kangaroo Idea Jump Competition and Entrepreneurship Ambassadors Program and continuing to grow existing programs such as E-Scholars. As a scholar of entrepreneurship, Hornsby has published more than 160 articles, six books and been cited more than 8,000 times. Judges for the award were Dr. Nathalie Duval-Couetli of Purdue University and Mr. Kevin McCurren of Michigan State University. They noted that Hornsby is a well-rounded educator with contributions to the scholarly discipline as well as student learning. They appreciated not only his scholarly contributions, but his efforts in cultivating many student entrepreneurs, as well as his national service to the profession. 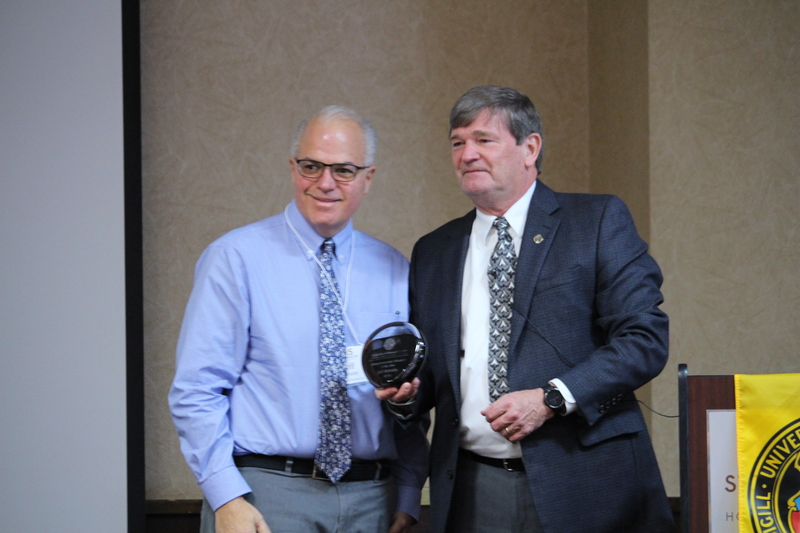 The award presentation took place during the second annual UM System Entrepreneurial Educator Summit. More than 80 educators from all four UM System campuses gathered for two days in Columbia to focus on entrepreneurial education. The conference provided a collaborative environment for the attendees to share best practices, brainstorm new approaches, and better understand the resources available to them as part of the UM System. Shortly after receiving a graduate degree from the Bloch School, Scott Hansen (MBA, Entrepreneurship Scholars ’14) launched what is now ProfessionalChats, a website chat service specialized in high quality, online engagement. Shortly after, he was joined by fellow Bloch alumnus Trevor Flannigan (MBA ’14), who had a passion for growing companies. Three years later, these native Kansas Citians have done just that. 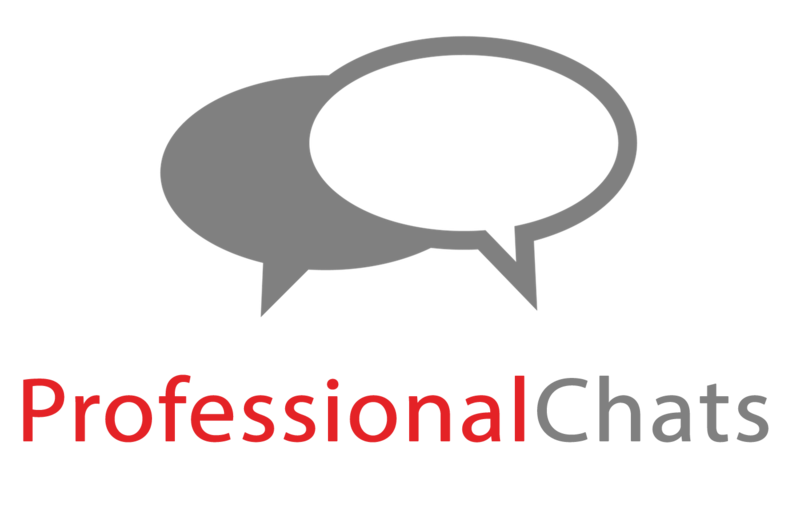 ProfessionalChats now has more than 60 employees, serves five different industries and boasts more than 500 clients with up to $50 million in revenue among seven countries. How did they do it? We set up an interview with them to find out. 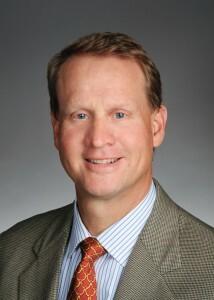 Scott Hansen: “I was managing my family’s orthodontic practice. We launched online chat on our website for two reasons: we wanted to convert more ‘shoppers’ into new patients, and we wanted to provide unparalleled customer service. It was a huge success. Firebrand Ventures, Kansas City’s premier early‐stage venture capital fund, and the Regnier Institute for Entrepreneurship and Innovation (RIEI) of the Henry W. Bloch School of Management at the University of Missouri­‐Kansas City (UMKC) are pleased to announce an exciting new partnership to benefit early­‐stage entrepreneurs in the Kansas City region. The RIEI’s Entrepreneurship Scholars (E-­Scholars) program, which graduated its first cohort in 2011 and since that time has worked with more than 200 individual graduates of the program, assists local students – community and university – in taking their entrepreneurial ideas from concept to launch. E­‐Scholars does this through a structured, two‐semester long program of Saturday workshops focusing on key areas of entrepreneurial marketing, finance, operations, legal, and more. 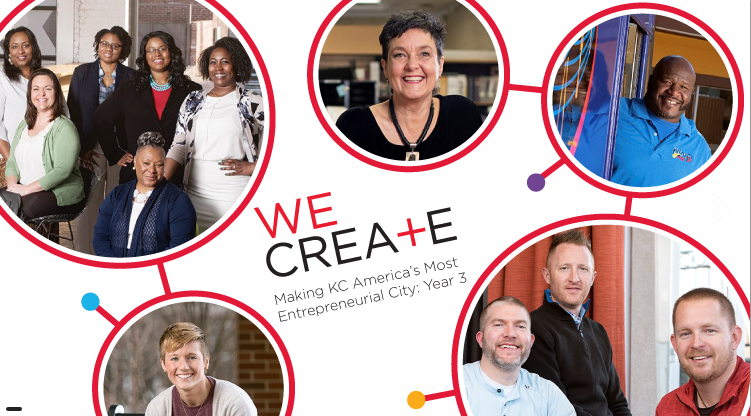 These workshops are complemented by the most extensive network of entrepreneurial mentors in Kansas City – more than 150 of them, and growing. Sixteen of more than 50 teams advanced to the semifinal round of the 2016 Regnier Venture Creation Challenge May 6. Out of that, four teams walked away as the top winners. Students presented new concepts to local investors, business leaders and entrepreneurs while competing for up to $40,000 in total awards and seed funding. After hearing from each semifinalist group, four teams were selected to compete for the top prize. The Bloch Career Center is starting the new year off strong by meeting with employers and hosting events for graduate and undergraduate students. Career Services will celebrate Career Month with two events in February. On Feb. 12, the Job and Internship Fair will allow all students to network, seek internships, or apply for jobs with employers from various industries. On Feb. 26, the Regnier Career Accelerator, held in partnership with the Regnier Institute for Entrepreneurship and Innovation, will focus on connecting students with innovation-centric organizations. “If a company commits to spending half a day here, they’re bound to extend second interviews to students, and hopefully, full-time positions,” Surprenant explained. In addition to on-campus interviews, the Career Center staff meets with area companies to coordinate on-site visits at their firms as well as information sessions with students. The department has added several new staff members, creating capacity to offer services for all students, no matter the degree track. New hires include Amanda Moore and Maggie Reyland Career Coaches; Erin Christensen, Employer Relations Coordinator; and Vanessa Herring, Corporate Outreach Officer. The Career Center provides services such as mock interviews, resume reviews and job search strategies, in addition to several career-focused special events Surprenant and her staff plan to look into ways to track Bloch students after graduation. Registration is required for the Career Accelerator. Visit Career Services for more information on the Job and Internship Fair. “To be successful in business, you need to have passion in what you do.” On Wednesday, September 3, Bill Zahner gave this advice to over 200 UMKC students, alumni and supporters as part of the Regnier Institute for Entrepreneurship and Innovation’s First Wednesday series. Zahner embodies this advice, as his passion led him to head one of the foremost metal work companies in the world. 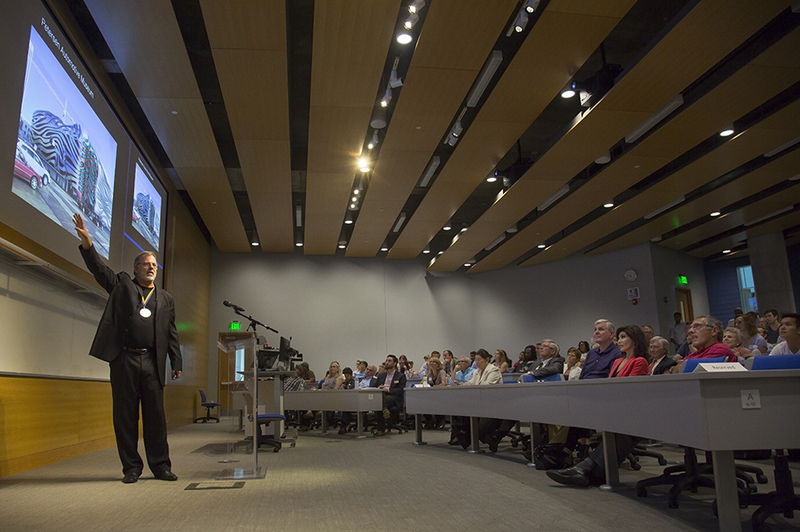 In his presentation “How One Entrepreneur Turned Metal Into Art,” Zahner explained how the organization has stayed relevant and innovative with changing faces of architecture and technology. Further, he described how A. Zahner Company is always working to exceed customer expectations, turning buildings into pieces of art. Some of A. Zahner Company’s most notable projects include The Art Gallery of Alberta in Alberta, Canada, the NASCAR Hall of Fame in Charlotte, North Carolina and the September 11 Museum in New York City, New York. This is the third year of the Regnier Institute’s First Wednesdays programming, where in addition to student updates, a local entrepreneur discusses their entrepreneurial path to give Bloch students a fresh perspective of what it’s like to grow a business from the beginning. 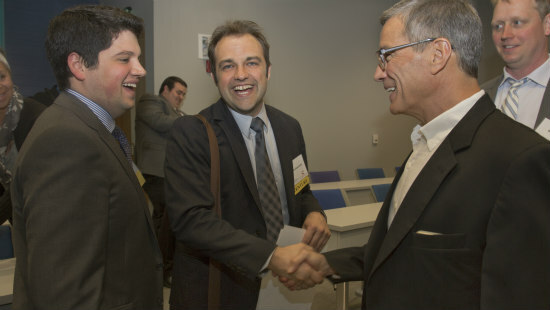 With the recent launch of the Entrepreneur Hall of Fame, the Regnier Institute saw a natural cohesion and a chance to connect students with high caliber business professionals. 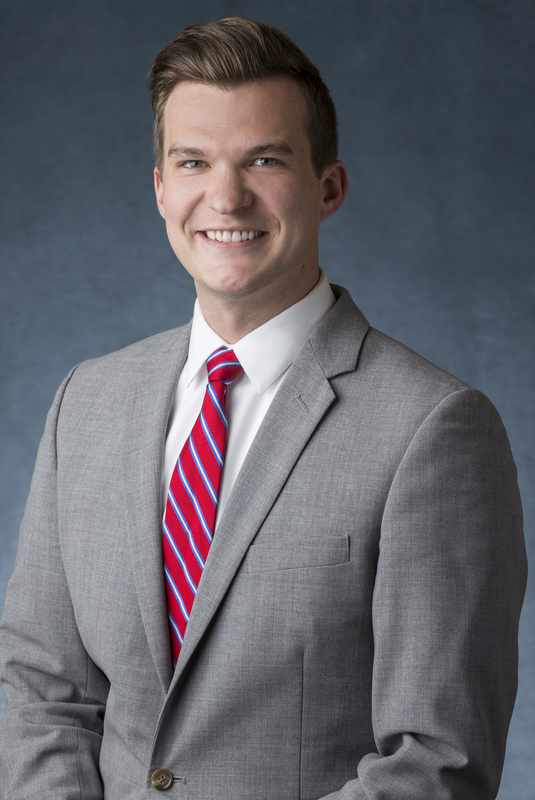 “Allowing students to not only hear from a successful entrepreneur, but to actually interact with them, is an amazing opportunity,” said Ben Williams, Assistant Director of the Regnier Institute. Zahner’s presentation of the first of three that will come from inaugural members of the Entrepreneur Hall of Fame. The Hall of Fame opened to the public in December 2014, and is designed to inspire students and community by giving them an inside look at the journeys of some of Kansas most well-known entrepreneurs. Hall of Fame inductees Terry Van Der Tuuk of Graphic Technology, Inc. and Dan Lowe of RED Legacy will helm the events on October 7 and November 4, respectively. Williams foresees growing excitement as these presentations draw nearer. To register for upcoming First Wednesdays events, visit umkc.edu/firstwednesdays.